This suite is ideal for a small family, couple or single traveller who want a little extra space. 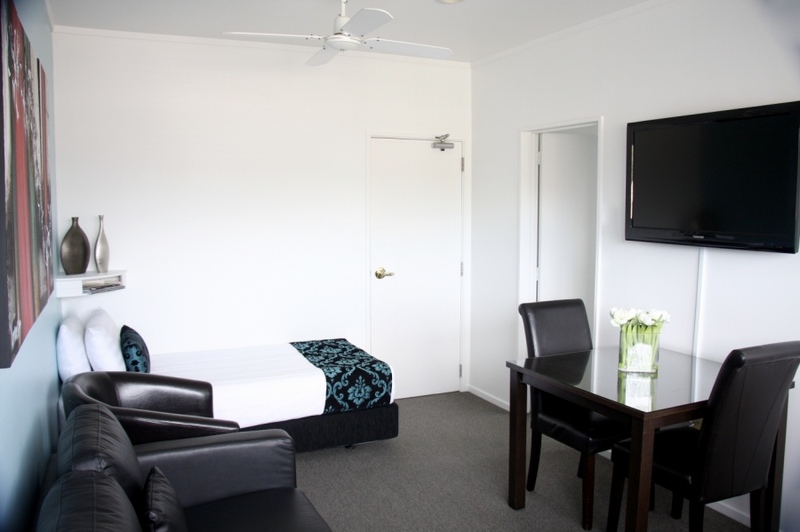 The bedroom of this suite that contains a king-sized bed and second television can be closed off from the separate living area. 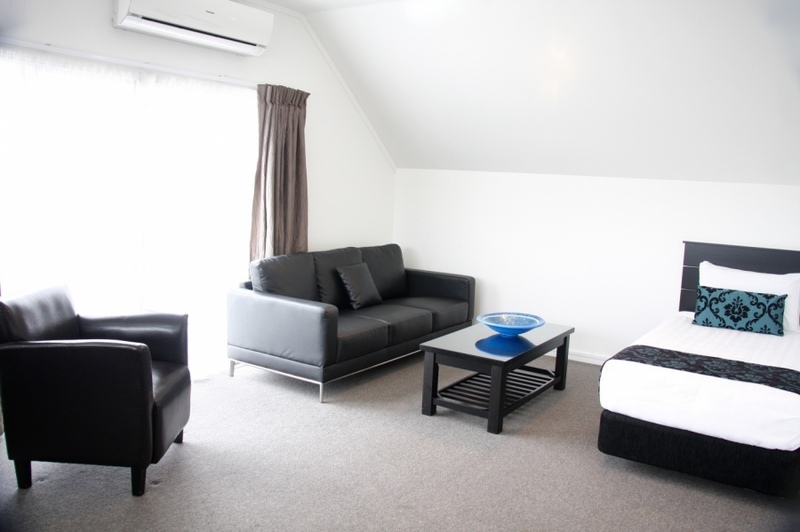 The living area has a single bed, sofa and comfortable leather tub chairs. 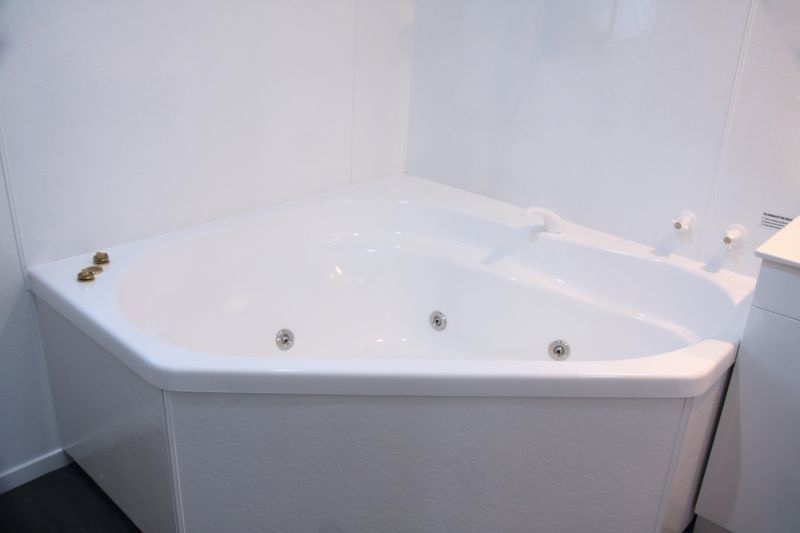 The luxurious in-room double spa bath in the ensuite of this suite gives you the opportunity to relax and soak your stresses away. 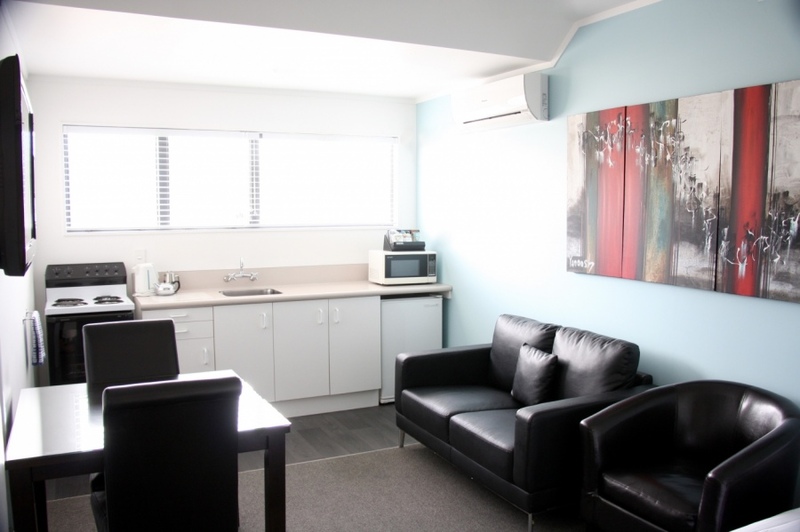 If you travel a lot and are tired of eating out, then this suite's fully equipped kitchen with its full sized oven / stove, microwave and fridge will allow you to prepare any of your favourite home cooked meals. 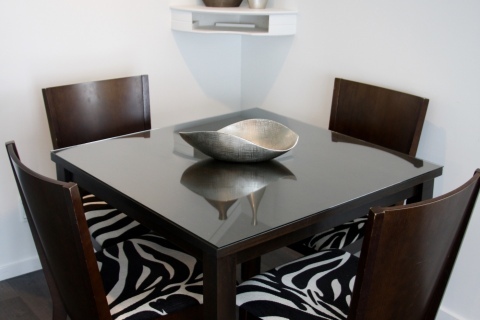 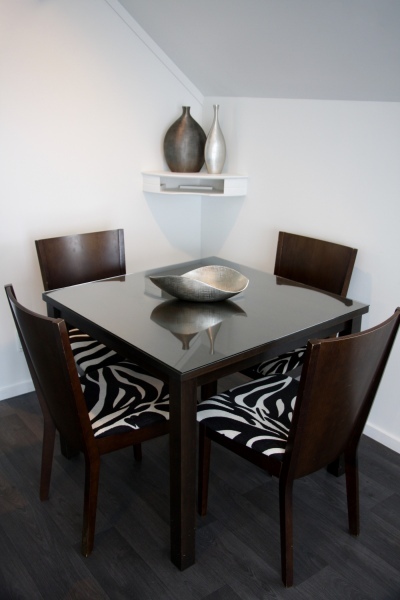 Then sit down and enjoy your meal with a glass of wine at your dining table. This suite has been installed with the latest Panasonic heat-pump / air-conditioning unit to keep you toasty warm in winter and cool in summer. 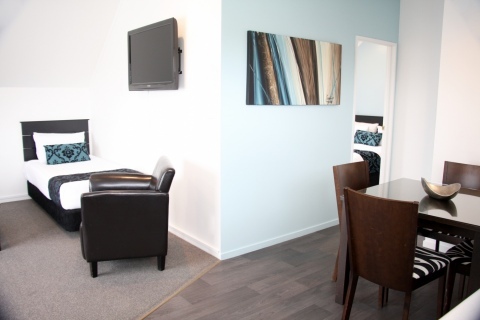 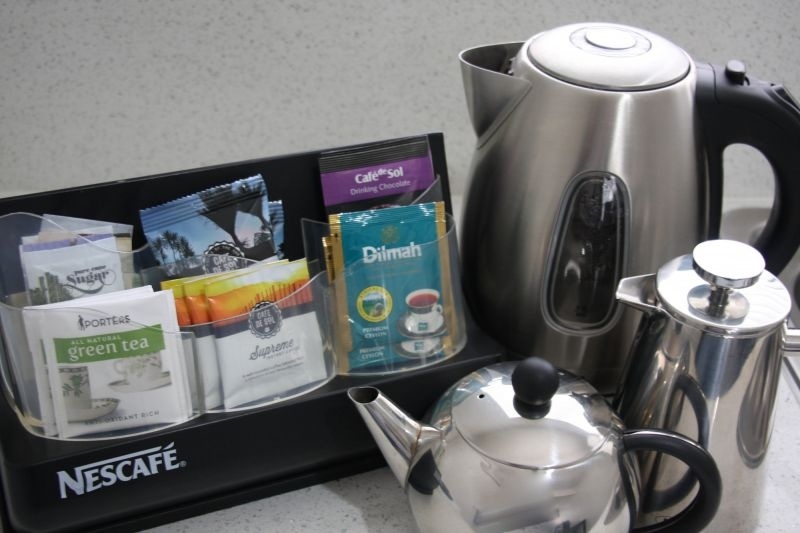 Parking is complimentary with this suite and in addition you will also have access to our free WiFi if you require it. 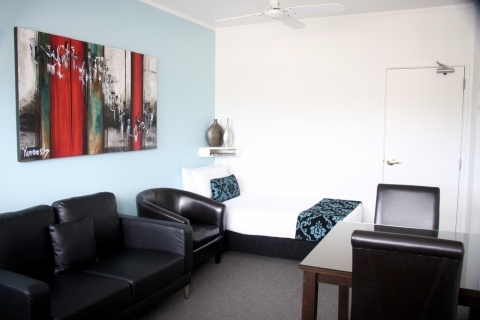 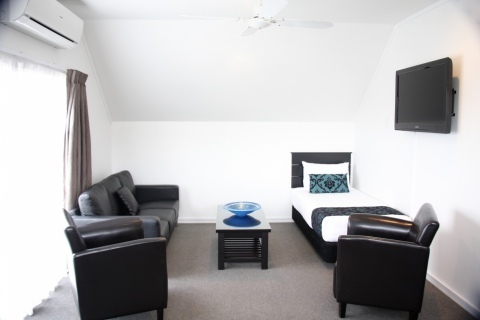 These suites are on the first floor however they are quiet and secluded as they are away from the rest of our motel. 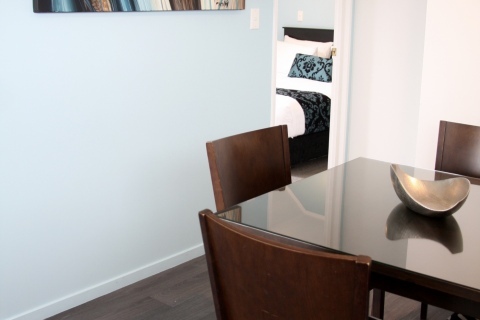 Another plus is how safe and secure these rooms are as access to them is through two lockable doors. 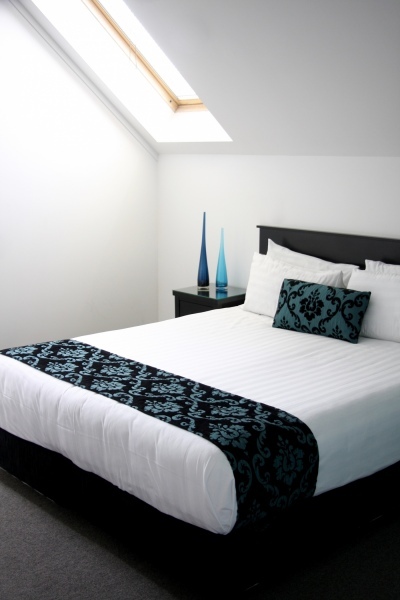 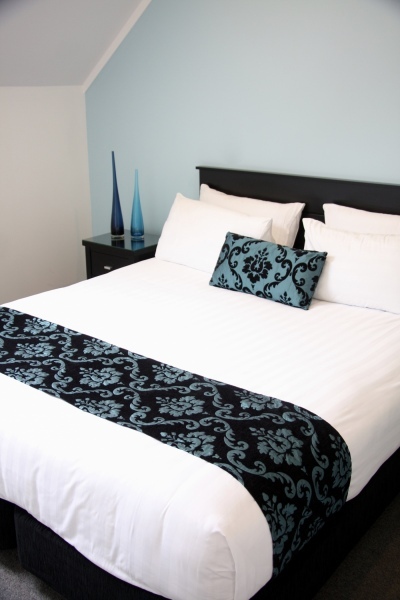 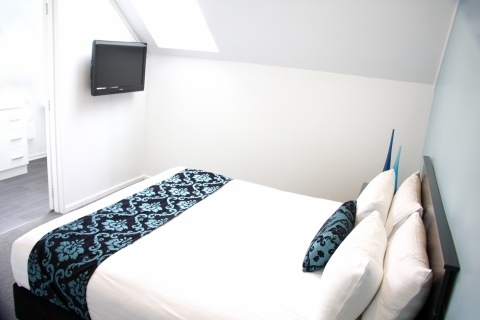 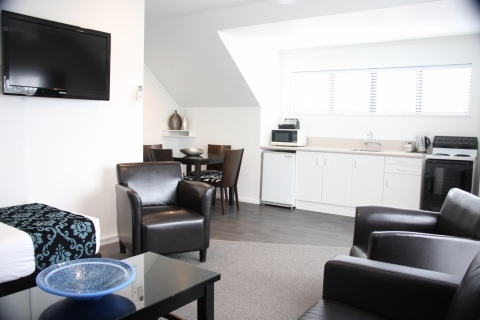 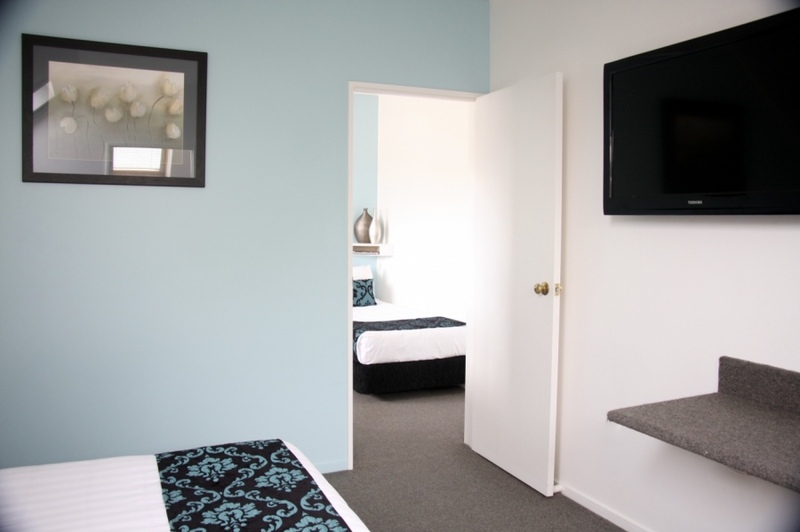 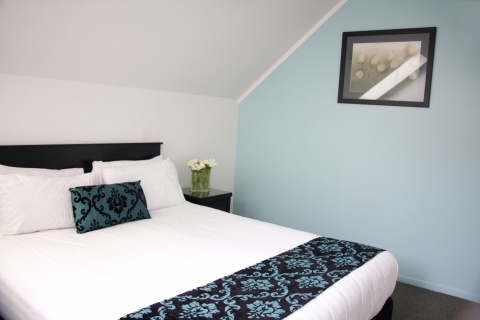 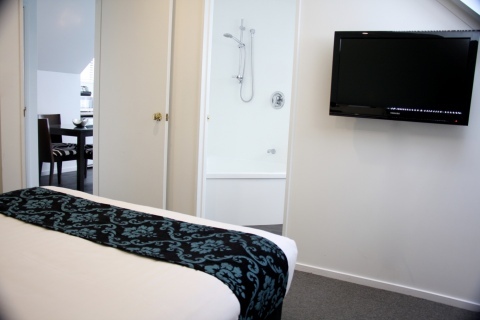 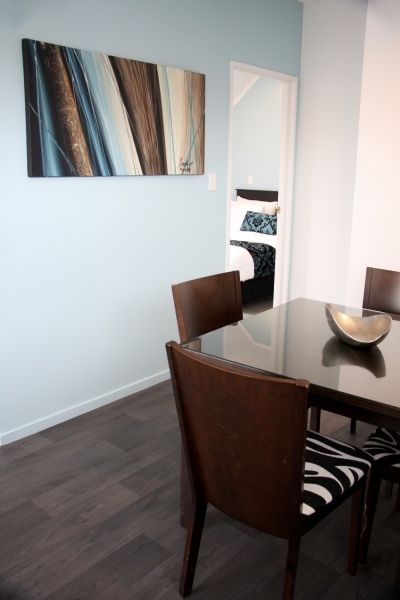 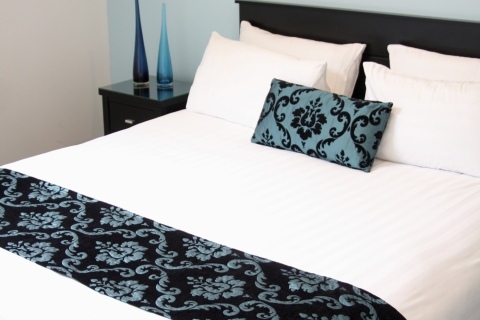 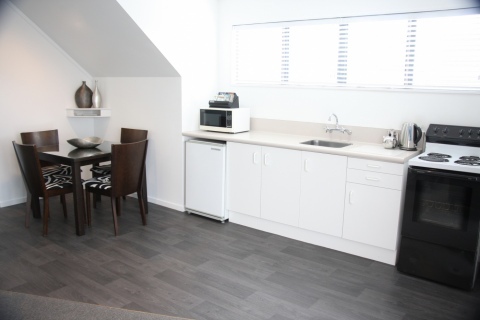 Our one bedroom spa apartments accommodate a maximum of 3 people. 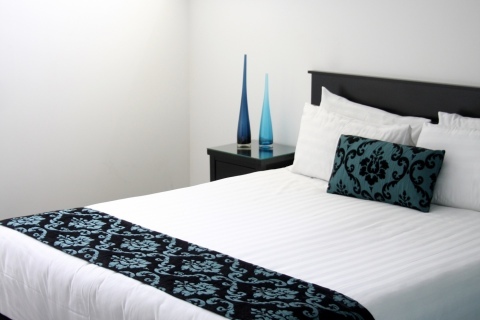 All rates are based on 2 people with an additional $25.00 charge for a third guest.